While we don’t exactly have a Starship Enterprise embarking on a 5 year mission of peaceful exploration, we DO have people in space. But how many? And who? I feel like that’s a question more people should have an answer for, and I’m frustrated that I can’t answer it. These are our explorers. They are carving a path that will hopefully one day carry humanity to the stars. When you consider the liability of having every single human inhabiting one fragile little planet, our daily struggles seem small in comparison. We need to explore. So to help remind myself of who is in space, I created a handy little website: www.peopleinspace.info. It connects to an API that updates in real-time with the names of the men and women in space along with their vehicle. Right now we have three Russians, two Americans and a Brit (Major TIM) sharing a tiny capsule far above the earth’s surface, orbiting the earth at 17,000 miles per hour. That’s incredible. The are working on a station built with materials and components that very well could represent the collective effort of the entire earth. When we work together, humanity can do some amazing things. Meanwhile back on Earth we have political scandals, shameful elections and fear-soaked rhetoric. We are essentially fighting a proxy- proxy war with the Russians in Syria. And yet, those 6 astronauts and cosmonauts float above it all; a bright example of humanity’s possibilities tearing across the sky every 93 minutes. 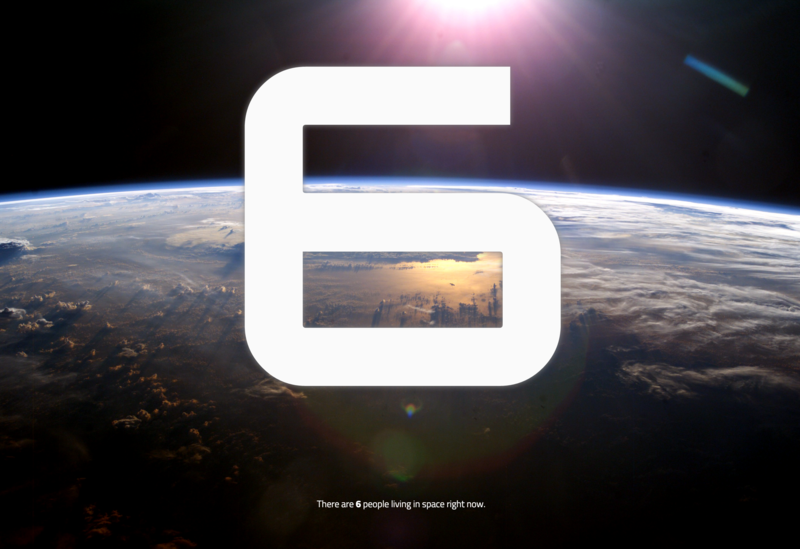 The myopia that comes from constant obsession seems to fall away every time I think of those six humans floating inside the ISS, so although the site is a bit silly, I hope you’ll get as much enjoyment out of it as I have. An outstanding share! I’ve just forwarded this onto a friend who had been conducting a little research on this. And he in fact ordered me dinner due to the fact that I stumbled upon it for him… lol. So allow me to reword this…. Thanks for the meal!! But yeah, thanks for spending the time to talk about this issue here on your website.